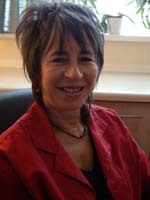 Over 25 years experience of counselling individuals and couples in a wide variety of settings. In the sessions the client is gently encouraged to explore their various concerns, talking about them freely and openly in a way that may not feel possibly with friends or family. 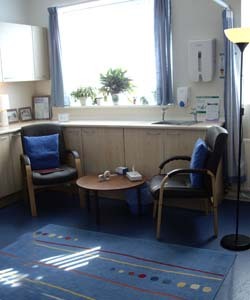 The therapist aims to provide an impartial and non-judgemental atmosphere in which this exploration can take place. Frequently new understanding and different perspectives emerge from this process. Unexpressed or 'bottled-up' feelings such as anger, hurt, sadness, disappointment and worry can sometimes feel very intense and difficult to contain. An opportunity to express them in a safe place can help to reduce the pain caused by them. This often leads to a greater sense of clarity on the issues presented and a positive way forward easier to see and to plan. There is a good deal of overlap between these 'talking therapies' and the skills used are very similar. Both can help to deal with personal difficulties in new and different ways. Counselling tends to focus on specific life problems whilst Psychotherapy tends to deal with more long standing personal issues. However it is rarely possible to make a clear cut distinction and most practitioners will want to make sure the help they can offer will be appropriate for the individual concerned. For this reason the first session is always an informal introductory one with no obligation on either side. If at this stage therapy is not likely to be beneficial, I will endeavour to suggest more suitable referral options. Which problems are appropriate for Therapy? Which approaches to Therapy are most helpful? It can be confusing and difficult to understand what is meant by the various terms used to describe the different models of therapy or indeed which particular model might best suit a specific problem. Most therapists tend to use a variety of approaches with which they feel comfortable. The following is a list of approaches which I use regularly in my work with clients although I would of course, explain and discuss any approach in detail before using it. In the early stages I tend to use a person centred approach to encourage a client to explore the difficulty or difficulties currently being experienced. (More detailed information can be sent on request). This depends entirely on your situation, the difficulties you bring and your personal preference. A single session may sometimes be all that is needed. At the other end of the spectrum some clients may attend for more than a year. More typically people attend between 4 and 20 sessions. It may sometimes be possible for me to give an approximate idea of how many sessions are required at the outset. The frequency of sessions is negotiable and you may opt out at any point provided 48 hours notice is given. Fees are £50 per session (individual), £55 (couple), £55-�70 (organisations) £40 (concessions), £72.50 ( 1 � hours supervision) payable in cash, cheque or bank transfer. All issues remain completely confidential. Any exceptions to this will be discussed with you during the introductory session.